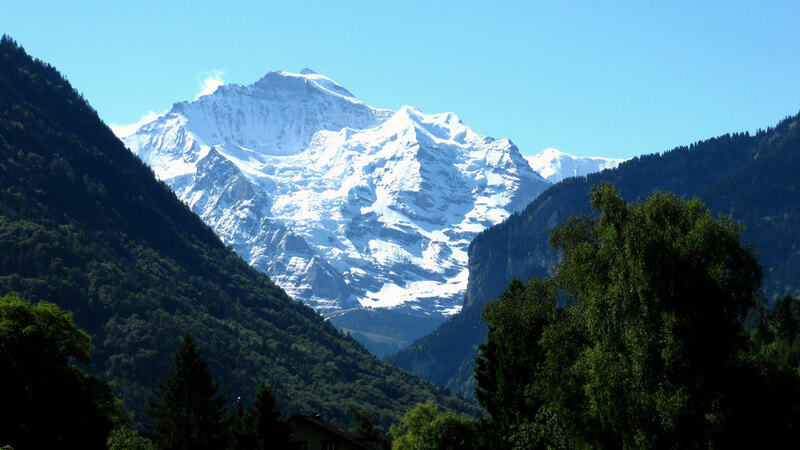 When I look at these Berner Oberland landscapes–filled with fresh water, snow, ice, I am amazed by their inherent wealth and health. I am awed by their physical presence. For decades I lived around that Empty Quarter arid sand desert of my most recent posts; but I needed refreshment, I needed recharge, so I regularly retreated to these water rich mountains. These two geographies, one lifeless and the other full of life, put me in contact with the extreme ends of the water continuum of life. 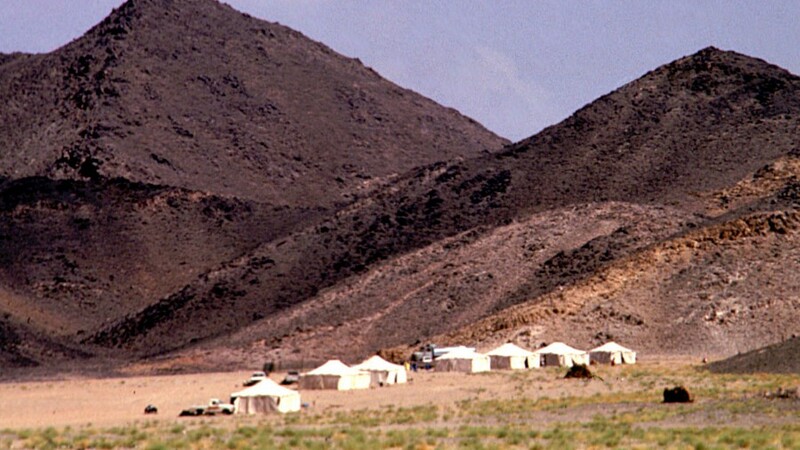 In the 1980s, on the Red Sea coast side of the Hejaz mountains in Saudi Arabia, I worked for four years and never saw rain. The 1980s Kingdom of Saudi Arabia Western Region shepherds, the goatherds had, as Bedouins always had, steered their flocks toward the parts of the landscape that had cloud bursts or rainstorms most recently. In the 1980s they used Toyota trucks as their primary mode of transportation. It was always about chasing the water. Water was unpredictable and transient. Transient forbs and grasses were located differently every year, every season. Life depended on successful reading the landscape. But this wasn’t the Empty Quarter. The Empty Quarter was empty, why? Because no one could read the landscape, no one could read the water. No life. Empty. This selection of photos by Mohammed Mohanna posted 2015 captures my memories of 1980s Yanbu–the old Red Sea port town on the Tihama plain, just west of the Hejaz mountains. Yanbu’ al Bahr (Arabic: ينبع البحر‎, Yanbuʿ al-Baḥr, “spring by the sea”), also known simply as Yanbu, Yambo or Yenbo, is a major Red Sea port in the Al Madinah province of western Saudi Arabia. It is approximately 300 kilometers northwest of Jeddah (at24°05′N38°00′E). The population is 188,430 (2004 census). A large number of the residents are foreign expatriates working in the oil refineries and petrochemical industry, mostly from Asia, but there are also large numbers from the Middle East, Europe, United States, and Canada. Not every desert in the Arabian Peninsula is sand. 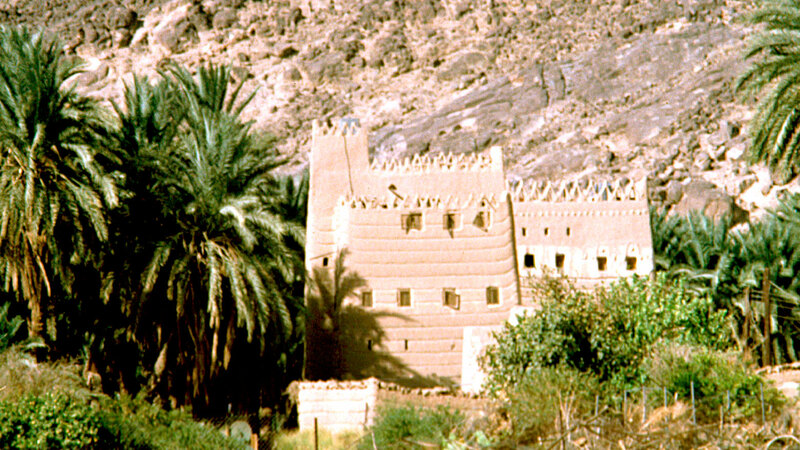 The house, the human shelter in this photo sits where the Hejaz mountains fold down onto the flat Tihama coastal plain. The house’s position in the landscape tells the story of: water–there is life; and no water–no life. In the mid 1980s I lived on the Red Sea coast of Saudi Arabia, in the Western Region. The area is known historically as the Hejaz after the mountains running north from Jeddah, parallel to the Red Sea coast. This is the region of Mecca and Medina. And the Hejaz mountains divide the Tihama, the coastal plain influenced by the Red Sea from the inland deserts, Nafud, and Nejd. 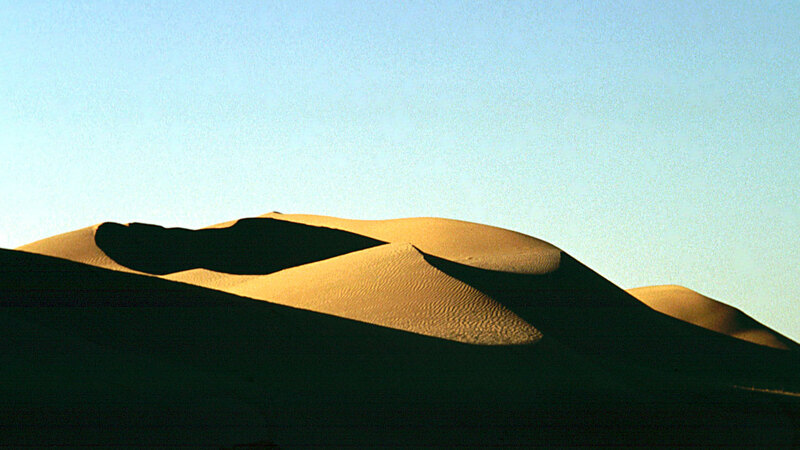 In the Nejd and Nafud deserts, it was these sand dune beauties that called…that seemed to be the emissaries of the Empty Quarter, the Rub Al Khali, the world’s largest contiguous sand desert, located in the southern Arabian Peninsula, to the south east of the Asir Mountains and north of Yemen and Oman. In the 1980s, while living and working in the Kingdom of Saudi Arabia, I travelled the triangle from Jeddah to Riyadh to Medina, touching the edges of the Nejd and Nafud deserts, and then via the Red Sea coast back to Jeddah. There were always somewhere in the landscape…sand dunes–not always continuous but amongst rocky plains and stony mountains, sand dunes tucked here and there. Somehow these sand dune emissaries had moved north on their own from the Empty Quarter, and I must say–they began as magnetic attractions for my eyes. But also their landscape stories, their landscape reputations became magnetic attractions through the ears as heard by St. John Philby, Bertram Thomas, Richard Francis Burton, Wilfred Thesiger, Gertrude Bell and T.E. Lawrence–all authors, all travelers, all mesmerized into their own Arabian Peninsula sand dune desert explorations. I am working through a transition from planning, designing, building and maintaining gardens, landscapes and plants to writing about them. 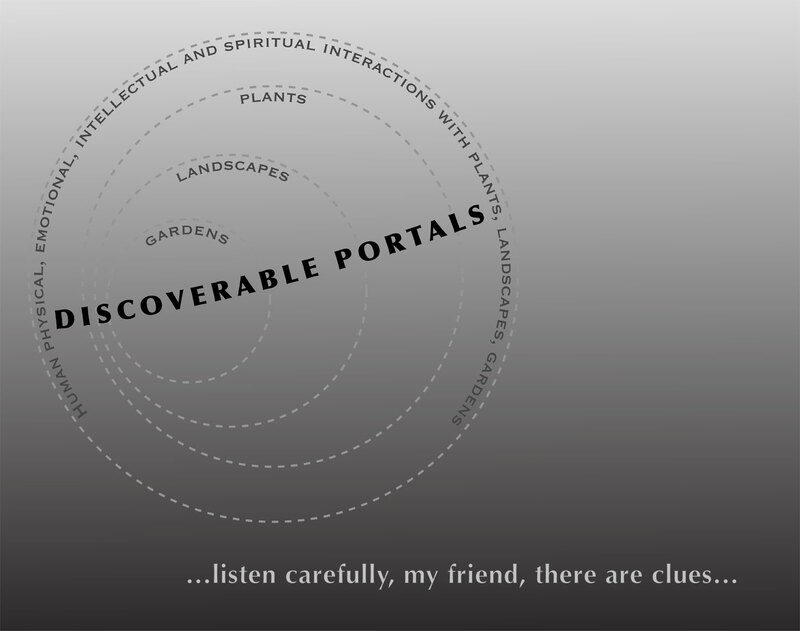 The above graphic shows how I link past experiences with my stories. I describe it in a little more detail here. In the next months, I plan to select landscape, garden and plant images from my past decades of work in North Africa and the Middle East to demonstrate what it is that inspires me to write.